Team building activities aim to strengthen the relationships between team members, with the end goal of building a solid foundation of excellent teamwork that benefits the whole organization. Planning your next team building event? Whether you prefer going all out or throwing an intimate event, this article will help you decide on which best brings out the camaraderie your team needs. For a casual gathering, treat your subordinates to lunch. Find a restaurant that could fit your head count. For a smaller group, this can be done in someone’s home, a rented space (function room) or at the office break room. To make the experience more intimate, ask each one to bring one dish to be shared with the team. Set your employees free to run wild outside the office building. You can host a company-wide scavenger hunt. You can plant clues all around the building and have them interact with other employees whom they would never even meet if not for the game. If you prefer to keep them in one place, you can host a modified game show. Ask company-related trivia to encourage interaction among the team. Examples are Family Feud or Team Jeopardy! If you want to go outside the office space and into neutral territory, you may choose to go on a field trip to an interesting place. It could be the beach or a museum. You can also hike or go camping. Alternatively, if employees prefer something more meaningful, you could volunteer or do some community service. 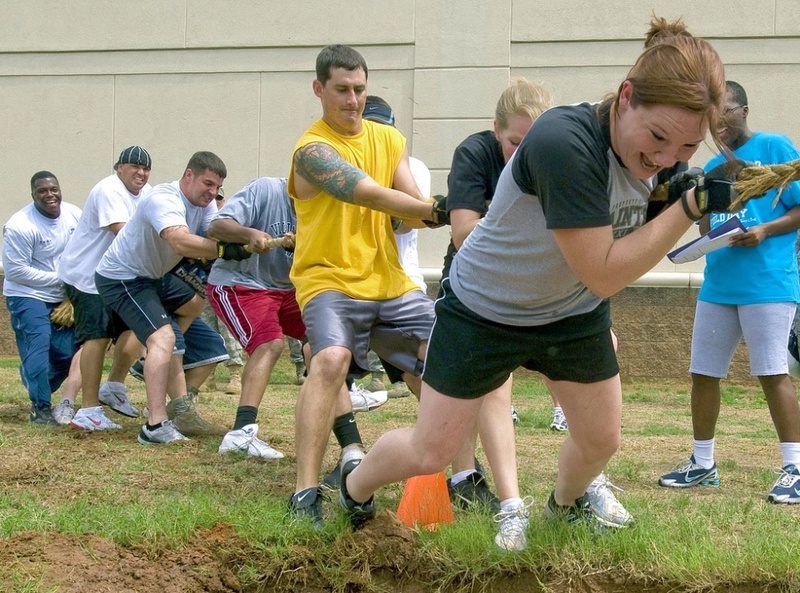 Classic trust-building exercises include the trust fall as well as the likes of sack race or tug-of-war. Meanwhile, contemporary ones include the blind retriever (a person gets blindfolded and is directed by a partner to retrieve a hidden item) and the human knot. For the human knot, your team forms a circle, hold hands and intertwine themselves by stepping over and under each other’s arms. The boss is tasked to untangle them. 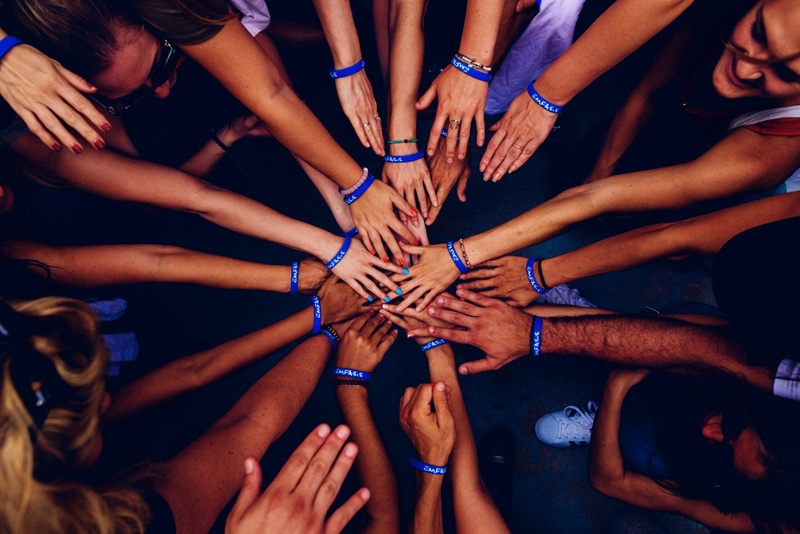 Doing team building activities has to be thought out properly and should match your employees’ interests and preferences for it to be successful. How about a fun obstacle course using an inflatable? 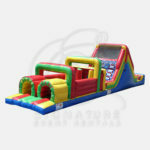 Signature Event Rentals has an inflatable obstacle slide that you can rent for your team building activities. Call us to reserve now.